Jazz has always breathed a vitality into dance music that can’t be found elsewhere. And this from Black Jazz Consortium perfectly illustrates the very point. The accumulation of soaring, life-affirming chords and keys of Essential Paradise, featuring Slikk Tim, plays testament with this first release on Fred P’s brand new imprint. Taste the Fred P Reshape with its rich abundance of soulful goodness, or next try the hot envelope of the Mystery of Fantasy Reprise which equally surrounds you in beautiful musicality. Contrasting that is Mr G’s Fantasy Mix which leaves you in little doubt as the brutal, grainy realisation of drums and bass hits you hard. Or there is the probing ambience of the Continuation Interlude of 120 Black Key Experiment to choose from, asking questions minus drums and rhythm. Helping celebrate the occasion and obviously no stranger to the label five years come around fast these days. 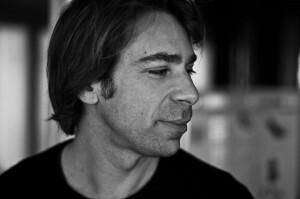 Tomoki Tamura’s imprint enlists the unmistakable skills of Mr. G who supplies two equally juicy gems for this release. The sizzling, bass probing Soba Shioyaki commands like night leaves day with insistent drums, voices and whirring keys all producing trademark intensity. 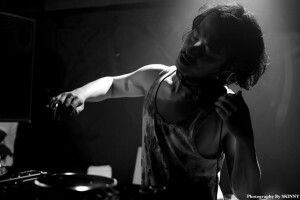 Komorebi, follows next with sub pummelling low-end connecting furiously to pounding beats and grainy organ hits, leaving room for the unnerving whir of darker flavoured synths that hit perfection at breakdown. Cosmic Pineapple Q&A with Kim Booth. Cosmic Pineapple: Where did the inspiration for the name come from and please talk us through the concept behind it? The name originally came up in Mexico at the end of 2012. I noticed how happy pineapples seem to look and the word cosmic naturally flowed before the pineapple! 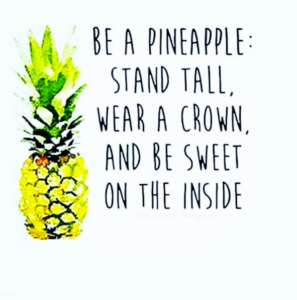 If you want a deeper meaning, the pineapple can also be representative of the pineal gland (which is associated with the pine cone). 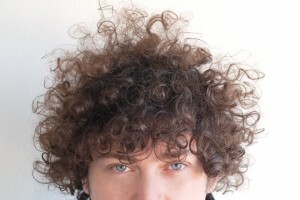 It’s a tiny gland at the centre of our brain that controls the circadian rhythms. The pineal gland is generally blocked on most people (fluoride is one factor of this, as it calcifies) and also life / media / society in general doesn’t feed the pineal gland to awaken (a child’s pineal gland is very open but closes as it gets older, for example). When the pineal gland is open it can lead to mystical experiences. Meditation is one good way to get it to open…Cosmic is a word I have loved for a long time, it is just out there and denotes something we can’t quite understand but makes us feel good! You are running a series of Thursday nights at Ibiza Rocks House at Pikes Hotel in September. What are your plans for the evening, and why did you choose Pikes as the venue? Pikes is such a magical venue. The history is crazy, the original owner, Tony Pike, built it from a finca in the late 70s and in the early 80s and it became this place of hedonism… Lots of artists used to stay at Pikes and Wham shot the video for Club Tropicana there. Tony went out with Grace Jones and people like Jean Claude Van Damme, Freddie Mercury, Kylie Minogue all stayed there. It went a bit downhill in the 90s/early 00s and since Ibiza Rocks has taken it over I love to see how it is evolving. I have known Dawn and Andy since a few years and I used to work with Sarah who now runs the events. I’ve been to some great parties there and I also used to teach yoga there, so I have seen both sides of what it can do. 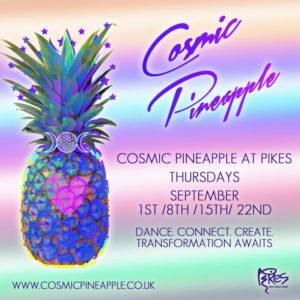 My aim for the cosmic pineapple parties is to fuse the music and ‘magic’ side of Ibiza, I use magic in this sense as more of a spiritual meaning. There will be a healing area with yoga, conscious talks, different healings and more. A night bazaar on the pink tennis court, which will have little market sellers from over the island. A creative area for people to experience different art classes – i think art is such a strong tool for transformation and creativity is our gift as humans! There will be cosmic music around the pool in the day time. There will also be an outdoor cinema from Cinema Paradiso every week, which will lead into the night of the dance – two small rooms with wicked unannounced DJs. The idea is based on conscious raving and to explore all these little gifts we have to offer. I am also making them free with a charity focus. So in a sense you are partying / sharing / enjoying / creating for a cause… Which in itself makes it a spiritual practice. I see these events as little cosmic and creative wonderlands to explore. What importance do you think Dance music has in 2016 as a unifying force – compared with the seventies and eighties Disco/ House culture has society become more self-obsessed and insular? I think we are in a new era and there is a reason why dance music has exploded as it has now. I love it when you are on a dance floor and you share exactly the same experience with everyone around you – a unified experience of oneness. On a dance floor everyone is the same and you can share a dance move with someone you will never meet again in your life. I’ve also met some amazing characters and friends in dance music that you just can’t find anywhere else. I have changed my perception when I go to clubs now. I used to chase which track was what, but now I am more focused on what the actual music is doing to me – how I want to move, what sounds move what energies, etc. There is something to do with the repetitive beats and rhythms which lure you into a meditative state. I also think it’s quite interesting how dance music averages around 120/130 BPM, which is double the human heart rate and i feel the rhythm something we can slip easily in to. I think dance music is very healing – it definitely attracts a lot of people who need some kind of healing or are searching for something a bit higher – and can shift a lot of heavy vibrations and allow you to feel elated when you get that good DJ who connects to the crowd and the music coming through. Please talk us through you inspirational website? The concept of the website is to inspire people to connect more to the self, the other and planet earth. I am a kind of seeker for higher knowledge. I have realised how a higher perspective can help you deal with life’s difficulties and make you understand more. A spiritual practice really helps me to be connected and trust in life. The idea is to share what I learn and to invite other people to share their own experiences and wisdom. I would like for it to be a web of good vibes from people around the globe! It is also really helpful for me to keep myself in check. I can come out of being in this space quite easily, so it’s always a good check in! And tell us about the Cosmix series of mixes. How you go about choosing the DJ’s and do you have any standout editions so far? I love the Cosmix! I’m so happy to put these out and they always inspire me at the right moments. For the DJs, it’s a natural selection. It’s generally someone I have seen out, or randomly emailed and told about the Cosmix, if they like it, they do it! I love it when people I have known for a while do them, as I can have fun reminiscing how we met for the write-up – dance music has some very interesting characters and stories to tell! RE standout editions, they all are in their own way and reflect a time of where everyone is at. I can’t say favourites. I would just go on and check out what mood you’re in! Can you give us some background on yourself Kim? Where and how did you first get into Dance music and how would you say it has shaped your life? I got into dance music at 16. My friend Tracy used to take me to a club called Bentleys in Bognor Regis. I think the first ‘proper’ DJ I saw play was CJ Mackintosh there, which was when garage was big. I got obsessed and used to listen to Danny Rampling’s Love Groove Dance party religiously and read all the dance mags to see what was what. I applied for work experience at Ministry magazine, Mixmag and Muzik when I was 18, forgot about it, and about six weeks later got a call from Ministry Mag to come and do some work experience. I stayed in a friend of a friend’s flat for two weeks in London and the mag liked what I did so kept me on for a bit as a junior writer. I then did a bit more work experience / freelance for Mixmag and Muzik and kind of fell into PR from there. I worked at Defected Records for a few years and got such a great education on the London house, disco and gay scene; I only recently realised how important this was! People like Luke Howard (who is now part of Horsemeat Disco) and Guy Williams used to take me to all their gigs and I loved it. It was also around the time of Roger Sanchez ‘Another Chance’, KOT ‘Finally’, ATFC and more, and was a really exciting and eye opening time. From there I worked for Underwater Records for a few years, around the time of Tim Deluxe ‘It Just Wont Do’, which was also a lot of fun and was very much like a family with people like Amy Thomson, Darren Emerson, Caroline Prothero, Garry Blackburn, Matt Stewart, Lottie and Yousef. I started my own PR company 11 years ago, after going traveling in Australia and Thailand. It started with Dan Ghenacia and Serge Santiago and built from there. 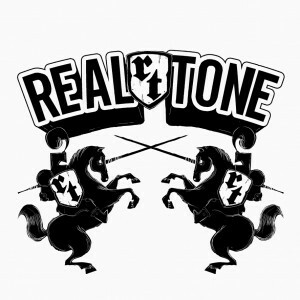 Now we are three people working there and represent artists like Carl Craig, Josh Wink, Cassy, Ellen Allien, Steve Bug, Apollonia, Danny Daze, Stacey Pullen and more. Freedom has always been a big thing for me and I also have to love the music and respect the artist. I am very fortunate how it has developed over the last 11 years, i am not in this for the money, but more the freedom, experiences and creativity it allows. I have worked with artists and events who are on the same vibe and don’t mind my quite unorthodox approach to it all! I generally go away for a bit every winter and have emailed people from the back of camels in India and had to get a boat to get internet in Guatemala. It somehow always works out. How would like to see Cosmic Pineapple develop into 2017 and beyond? For the website, to get more people sharing and I think one thing I would like to do is hold cosmic and creative events / retreats around the world. I love traveling so much and experiencing different cultures and connecting to different lands. That would be quite magic! Can you tell us about how you first got into Dance music and your memories of the scene in Japan at that time? 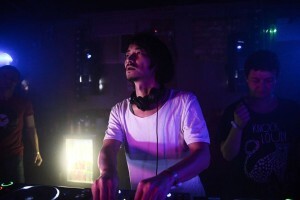 I grow up with Underground US House in Osaka, that time there was strong culture of this kind of house music there. At that time I was working & Dj’ing at small underground club which was called “Club Flatt”, I met a lot of great & beautiful people there. I was very lucky to see & share the decks with a lot of great names such us Larry Heard, Ron Trent, Jovonn, Theo Parish, Moodyman, Francois K, Joe Claussell there. That time was one of the most important time for my DJ Career. How would you compare arriving in London in 2004 to what clubbing is like now in 2014? When I arrived in London, there were more clubs and no many warehouse parties then. Now people like to go to secret venue or private party ,it is also great vibe but I hope more great new clubs are coming up and more nice people come to clubs too! 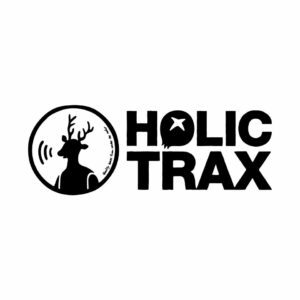 You launched Holic Trax in 2012 with Mr.G’s ‘Danceholic’s EP’. How would you describe the development of the label musically, alongside its ethos, since then? I sometime try to not think too much about music style of holic trax. Some of my mate has told me that direction of record label should be more organic, you go where you feel, I think it is great answer. We do not need to follow the hype, maybe one day the hype will catch what we doing LOL. The label’s latest release is from Sierra Sam ‘Sage EP’ containing a remix by you. Can you talk us through the process of how you produced the remix? Sierra Sam’s studio is 1 min from my house so super easy to pop there and he has a lot of great hard gears. We played & enjoyed with these machine together and I brought back this project to my studio to edit & some more work. Just it, pretty simple process. He is lovely guy so I am comfortable when I am at his studio, I think it is one of the most important thing for collaboration. What do you look for when you sign a track to the label? Does it matter whether the artist has a profile or not? No matter if they have a profile or not. Nice groove on beats, dope bass line & emotional melody on the top, just it! Be simple. One thing I could say is I prefer unique sounds than perfect quality sounds. How would you describe living in Berlin? I think Berlin is not big city like London or Tokyo but each people and culture is very unique & friendly. I could say this city is very underground which means they have got own style and do not mind the fashion a lot. Can you tell us about your project with Tuccillo: Doublet, and any forthcoming plans? We are very good friend and always having fun at studio, also both of us has good old House music behind our history, this is Doublet. We are exciting about our forthcoming plans for next year,so many bombs are ready to go. I am sure you will love these music, wait for 2015! Where can people hear you play in the coming months? 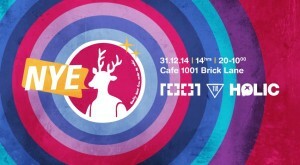 I will come to play in London for NYE and also you can catch me in ITALY,BERLIN,JAPAN etc… See you then! The Bass Culture nights at the Rex Club have been running since 1997 which is undoubtedly a big achievement. Why do you think Bass Culture has been such a success for such a long period of time? Since day one the club gave me freedom and trust to invite the guest djs I wanted. Some were already popular but most of them were unknown (or became famous not long after) I only kept it the formula very simple: Me and 1 guest. So we had time to do longer sets. Most importantly, no matter if they were hot or not I only invited artists which I thought were great djs. And I’m very picky on this subject. So I guess the crowd recognised that along the years. Your label of the same name is about to celebrate four years in existence with the release of: This is Bass Culture: 4 years of Bass Culture Records mixed by D’Julz. Can you talk us through how you choose the tracks, and how you went about mixing them for the compilation? It’s important to say that this compilation is not a best off kinda cd. It’s a proper dj mix. So having a great flow was the priority for me. I also chose tracks from the back catalogue which I think were the most timeless and as diverse as I could to reflect all the different shades of the label. 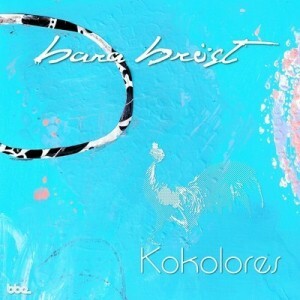 Therefore you will find music from the early days of bc, some more recent ones and a few forthcoming tunes. But the key was to have them all making sense together and tell a story. The album also includes some of your own productions: What U See in Me and Da Madness. Can you describe the process of producing one of the tracks, including any favourite pieces of studio equipment? What u see in me is my first collaboration with my long time dj friend: Cassy. I had started to work on an instrumental using some of my gear (sh 101, 909, nordlead x2 ) and ablteton when she came to my studio to record her vocals. Then we finished the arrangement together. This track and a second one were pretty much finished in 2 days. 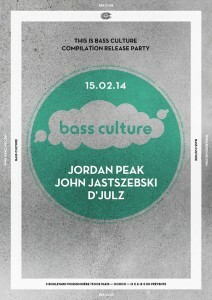 They will be part of a ep that will be release this spring on bass culture. Miles Davis, Prince, King Tubby, Steve Reich… and 20 more. As you started out in the early 90’s what are your thoughts on the current revival of the House sounds from that era, and what are your feelings on the culture of Disco re-edits? There always been House, Techno and Disco revivals. It’s a cycle. When a new generation arrives they feel the need to discover the roots of electronic music. Later, generally a new trendy sound emerge and most of the time quickly fades away. It’s only the foundations that last. What is the House Music scene like in Paris at the moment? Are there any places you would recommend? It’s never been as good as now. Seriously I wouldn’t have imagined of somzthing like this to happen. New clubs are opening every month with programming that is as strong than what you can find in London or Berlin. The Rex as never been as strong as today and there is also amazing new venues like Concrete, le Zig Zag , le Badaboum, la Machine and lots of warehouse parties. I have some very strong new releases scheduled on bass culture including my ep with Cassy. I also have a new single coming out in the summer on Robsoul. Plus 2 different collaborations I started with Phil Weeks and Frank Roger. So 2014 will be a busy studio year for sure. 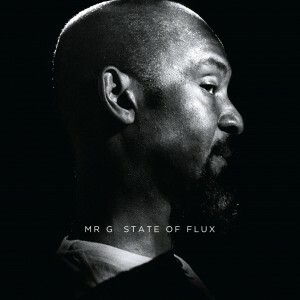 Mr G’s second album for Rekids sees the renowned producer continue his trademark theme of smoking beats and funky attitude to supply yet another winning formula. What I love here is the way that the music embraces technology yet retains a distinctly soulful element – State Of Flux couldn’t be a more apt title. Take the first track G’s Riddem which perfectly sums it all up: Thumping kick drums, heavy-duty bass, offset by treated timbale and emotive chords to produce a stunning, uplifting effect. 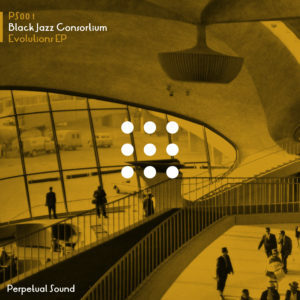 The album then continues to fuse together a range of influences and styles, taking the best cues from House and Techno. From the brutal end of Pumped Up to the twisted Disco of Absurd Beatz No.4 this one journey that you won’t want to get off in a hurry. 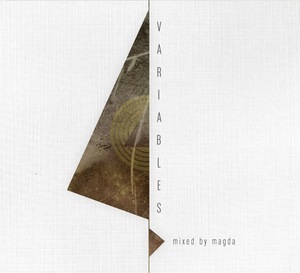 The first label compilation for Magda, Troy Pierce and Marc Houle’s Berlin-based label ‘Items & Things’ is fittingly called Variables. Variable in so far as the imprint champions cutting-edge electronic music that’s neither afraid to get deep and nasty, or even comparatively subtle such as on Miro Pajic’s infectious intro: Love Love Love. What follows next is a selection from the aforementioned and the likes of Jimmy Edgar, Tomas More and Andy Martin plus a few newer artists. There’s plenty in the way of hot syncopated Disco action to get into here too, all with Items & Things distinctive twist of course. Try Howard Watson’s, Keep Away and Nyma’s, Brain Crunch plus the beyond comprehension: In The Mirror for size. Satisfaction guaranteed. Your Feelin’ undoubtedly references synth-pop with its fizzy keyboard lines and restrained European melodies, but also counter balances it all with subtle contemporary pads and punchy beats. And just to drive the point home an Acapella follows so you can judge the vocal for yourself, although this proves to be something quietly addictive the more you hear it. Title track, Kisses sounds more like what you would expect with deeper, moodier sounds playing off against intriguing vocals, and this time comes in vocal and instrumental versions. The second release from Holic Trax sees Tuccillo deliver the title track House 19 in a blaze of House flavoured Techno that seeks to capture the spirit of 1988, and quite frankly succeeds – smiling faces all round. Eves Sky is next and gets deeper with provocative drums and deliciously moody bass, while teasing you with haunting voices and a killer arrangement. PercussHolic then invites into you into a creative play on instrumentation with its excellent combinations of beats and fiery percussion. These tracks appear on ltd 10” vinyl while the digital release features the added bonus of Dubao, whose addictive electronic rhythms become uplifting in the most pleasing way. Benjamin Quint and Markus Schwarzbauer aka Bara Bröst deliver their second album for BBE and if you’re not already familiar with their unique sound then prepare yourself now. Quirky, lively and thoroughly excitable the music and words play with each other while seeking to let you in on the party. Having said that, this will either work for you or you may find it all not quite serious enough with titles such as Juicy Lady, My Mess and Tony Curtis (try the soundcloud link below). Despite the eager wordplay there are some fine \House and tech grooves which reveal themselves as on the instrumental Tiger Milk and as with everything else it all boils down to personal taste. You may recognise the beats from the eighties but if they’re fresh to you then you can relive the excitement generated for new. Through The Motions goes through anything but that with smooth vocals feeling soulfully refreshing in the summertime, as layers of keys build up the tension on yet another rewarding release from the label. An excellent Dub version pays compliment by stripping back the voice to highlight the cool bassline and hot House groove. 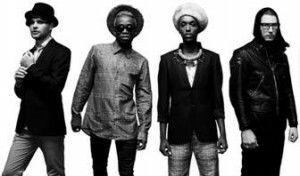 Next single to be lifted from their self titled album Into The Night is accompanied by a typically hot video along with a series of excellent remixes courtesy of Prince Language, CFCF, Nicolas Jaar, Renaissance Man and Seth Troxler, Masomenos & Jaw. All of which you could simply say speaks for itself. Like them or love them, you know this is good already from hearing the album.